My background in photographing residential and commercial properties spans 20+ years. My clients include real estate and commercial brokers, builders, architectural firms and private clients. Turn of the century historic farmhouses to sleek and modern architecture, I strive to capture each property for it's own unique elements. I approach each project much like my fine art photography. My process is to capture the overall interior and exterior spaces of a property, but also the smaller nuances that form the properties individual character. I also offer floor plan services creating a layout of all interior spaces and room sizes. I look forward to hearing from you to discuss your next project. Rebecca McAlpin is an architectural and interior photographer who splits her time between Philadelphia and New York. Her work has been published in national and international titles including Traditional Home, The New York Times and The Wall Street Journal. Her background in architecture and journalism give her a unique perspective into what designers and editors expect from a shoot. SMB stands out from many other real estate photographers. Over the past 5 years we have honed down to the exacting detail what is required for a room to show at its very best. Yes, the equipment plays a role in the quality of the photo but this can only go so far. The photographer's eye must be trained through experience in what the client wishes to see in the property they are highlighting. The public, too, wants to see the whole property. They do not want to see dark rooms, pictures of just the furniture, and windows that do not show what is outside. We strive to give them the images that will enable them to see what it would be like to live there! Architectural features are highlighted, beautiful flooring and intricate ceilings are shown, and the flow of the house must be included to reach this end! For all of this to flow together and achieve the top shelf of the photographs, again we have narrowed down the exact professional software programs needed to "pop" the images and get them noticed. We are constantly striving to improve our work by upgrading equipment and software, listening to clients, and staying informed of industry standards. HD Photography & HD Video Home Tours across the Greater Lehigh Valley We also provide comprehensive marketing services, social media management, profile management for Realtors. I am a professional photographer who specializes in capturing beautiful images of homes & communities, inside & out. Being a licensed real estate professional for over 15 years, I understand the nature of the real estate business & have successfully worked with different agents on a variety of different types of real estate. We offer a personalized real estate photography service to Real Estate Agents who want quality images for a fair price. We also provide photography services to hotels, builders, businesses and more. Hi! My name is Jon. I've been creating quality natural looking photographs for over 7 years. I'm quick, affordable & friendly. Contact me to schedule a shoot! I am based out of the Souderton / Telford area and shoot all around Montgomery & Bucks Counties including Philadelphia & The Main Line. I've traveled as far as Virginia for some of my shoots. Architectural photography for the best of the best builders and architects. Now expanded to Los Angeles CA.. Project Partner for Philadelphia Magazine Design Homes. 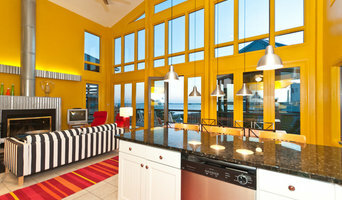 Special packages for Houzz photography uses. I love helping businesses to get seen in the best possible light. I make crisp interior and exterior architectural photography that attracts clients, and gets people talking about what is important, your work. Great images can say so much about you and I am crazy about making good photos. I have a background in art and enjoy working creatively with architects, interior designers and decorators throughout the Delaware and Philadelphia area. Mike Irby is a commercial photographer with extensive experience shooting on location. With 30+ years of experience, he delivers outstanding images on time and in budget. His primary focus is architectural photography, working with interior designers, builders, remodelers, developers, and property managers. He produces a full range of photography for every marketing and advertising need. All work is fully guaranteed and there are no surprises, period. Call Mike to discuss your upcoming project and discover how easy it is to get your project produced on time and in budget. Real Estate Exposures is a leading real estate photography company in serving Central PA and Maryland. We have produced virtual tours and professional photos for over 8,000 homes and businesses. Gridley + Graves Photographers is a collaborative team with BFA's in photography from the Rochester Institute of Technology. G+G work with architects and designers to bring their projects to the next level. Creating warm and inviting photos that make people want to live there. Their work is featured regularly in national shelter and lifestyle magazines. 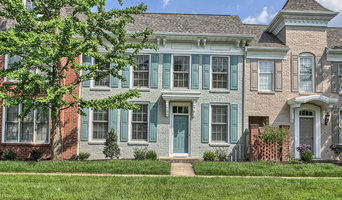 Sean Dooley Photography provides professional real estate and architectural photography for the Eastern United States. Full service home, real estate and commercial photography serving the Philadelphia metro area! Whether it's new construction, renovations, design projects or a unique addition, I would love to capture all the beauty and creativity of your work. Contact me for details! Drew Callaghan is an independent freelance photographer specializing in Architectural and interior photography. His clients range from Interior Designers, Builders and Luxury Real Estate Brokers. Before you call any potential photographers, make sure they have good references. Friends who've sold or rented homes before are great resources, as are local real estate agents. Look through each Pennsylvania photographer's online portfolio to make sure what you're looking for is being offered. Once you've done that, it's a good idea to walk around your home and write down exactly how many and what types of shots you'll need. Include any specifications you might have, such as angles, things to consider about your home’s Reading, PA site, the time of day you think will be best and aspects of your home you want to highlight. Find a home photographer on Houzz. Narrow your search in the Professionals section of the website to Reading, PA photographers. You can also look through Reading, PA photos by style to find a room you like, then contact the professional who photographed it.